Don't worry about Christmas shopping for Lighting coach Jon Cooper. From the looks of it, the guy has everything. He has Steven Stamkos, who has returned to his role as a sharpshooter. He has Nikita Kucherov, who is suddenly the point guard directing traffic. He has Brayden Point, who can do just about anything on the ice. He has Andrei Vasilevskiy, the goaltender who can blunt an opposing team on any given night. And he has the rest of this deep, talented Tampa Bay team, a team that doesn't seem to have consideration for slowing down. the Lightning to finish its road trip 3-0-1. The Lightning has now scored points in 12 straight games -- the longest streak in the NHL this season -- and is 11-0-1 over its last dozen games. It is 14-1-1 in its last 16. What more could a Tampa Bay fan want? 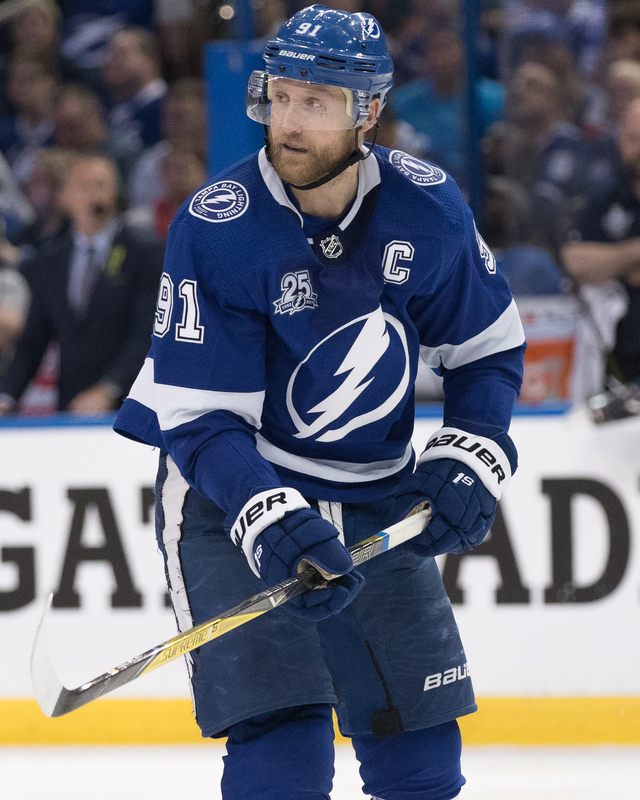 Stamkos continued his hot streak, scoring two goals to get to 20 for the season. Not bad for a guy who had one in his team's first 10 games. Kucherov had five points, four of them on assists, to run his streak to eight straight games. Point had a multi-assist game. 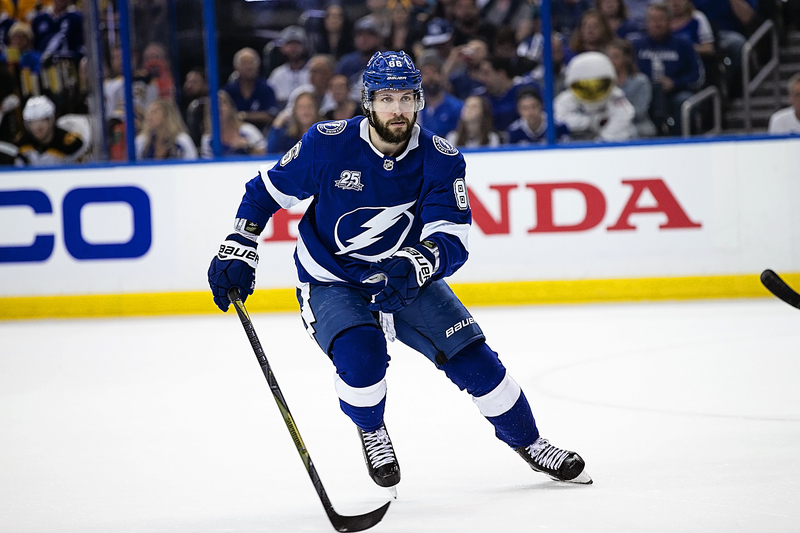 Defenseman Anton Stralman was impressed with Kucherov. He has 16 goals, compared to 24 at this point last season. But his assist totals are up. Consider this: Kucherov has had several four-point nights, but Saturday was his first five-point night. “He’s been fantastic here these last, I don’t know, 18 months," Stralman said. "He’s truly one of the best in the league. He sees the game like no one else. The things he comes up with sometimes, it’s quite impressive. It’s fun. It’s fun being out there with him. You know he’s going to create chances for himself and for other players. I think sometimes maybe he’s on a different wave length, especially me. Sometimes he pops out and makes plays that I’m not prepared for. He’s just a terrific player. "I think we can go into the break feeling good about how we played this start of the season. But, we’re only halfway. It’s nice to get the break. It’s been a tough schedule. A lot of the boys need a little rest and to heal up a little bit. I think it’s going to be great to get some time off and be ready to go again on the 27th." Kucherov also scored a goal for Tampa Bay. J.T. Miller and Tyler Johnson also scored. “Kuch is an unbelievable player," Johnson said. "He sees the ice better than anyone else. He was dynamic for us tonight. He’s one of the big reasons why we won that game." Johnson agreed that Kucherov's goal changed the momentum in the game. Cooper was also pleased with his team's defense. Vasilevskiy stopped 25 of 28 shots for his 12th win. The Bolts are now off until Thursday night, when they play the Flyers at Amalie Arena. The puck is schedule to drop at 7:30 p.m.
Nice first half by the Bolts. Everybody is waiting to see what they can do in the playoffs. We want the Cup in Tampa Bay! We’ll see. A lot depends on the playoff draw. Previous post: Ask Gary: Could the Bucs hire a CEO to run things?